State Representative Tom Demmer (R-Dixon) was sworn into a fourth term in the Illinois House of Representatives Wednesday at a ceremony held at the University of Illinois at Springfield’s Sangamon Auditorium. 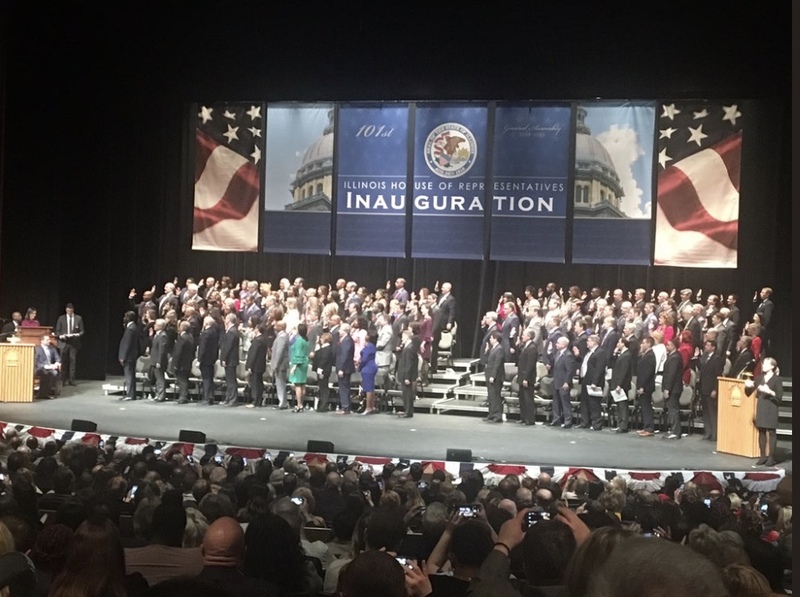 The House of Representatives of the new 101st General Assembly includes 74 Democrats and 44 Republicans, and Demmer will represent approximately 110,000 residents from northwestern Illinois’ Ogle, Lee, DeKalb and LaSalle Counties. During the inauguration ceremony, Representative Michael J. Madigan (D-Chicago) was re-elected Speaker of the House and Representative Jim Durkin (R-Western Springs) was re-elected House Minority Leader. Within the House Republican Caucus, Demmer serves on the nine-member leadership team as Deputy Republican Leader. As the second-highest-ranking Republican in the House of Representatives, Demmer will have a key voice in setting the House Republican agenda for the next two years. He was elevated to the position of Deputy Leader in July of 2018 after previously serving as the House Republican Caucus Chair. As the 118 members of the General Assembly begin their work, Demmer is finalizing a comprehensive 2019 legislative agenda that focuses on improving access an delivery of health care services, protects taxpayers, eases consolidation processes and improves government operations. Residents of the 90th District can learn more about legislation sponsored by Demmer during the spring legislative session on his website at tomdemmer.org.